Last year, when I discovered that my wife was the victim of identity theft, I was given all sorts of suggestions on how to remedy the situation and keep her -– and my family –- safe going forward. Some of the ideas were high-tech, andsome were very low-tech. But even though I contacted all three of the major credit bureaus, none of them suggested the one thing you can do to ensure you don’t become a credit fraud victim: freeze your credit. Freezing your credit allows you to put a lock on your credit report so that it can only be accessed with a personal identification number, known only to you. Each credit agency will give you a unique PIN, and with this added security layer, thieves won’t be able to establish new credit in your name, even if they obtain all your personal information. Credit freezes have only traditionally been available to victims of identity fraud, but all three major credit agencies have recently changed their policies to make them available to everyone for a small fee. That fee varies from state to state but are generally $3-$10. The most expensive state is California, which charges $30. Place the freezes at Equifax(EFX), Experian (EXPN) and Transunion. 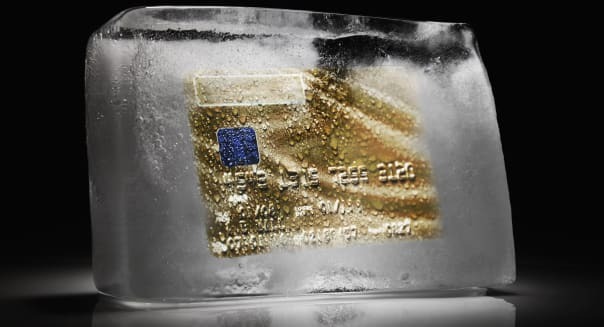 A freeze does not impact your existing credit cards or lines of credit so you can continue to use them like normal. It is only when new requests for credit are made that the freeze kicks in. And when there is a legitimate request for your credit report, like with a home mortgage or car loan, you can temporarily thaw your credit using your PIN. The thaw takes about 90 seconds online. You can thaw your credit for a specific creditor or for a set period. The cost to thaw your credit depends on your state, ranging from free to $10 per incidence. There is an alarming new trend in which thieves use the Social Security number of children to apply for credit, something that is usually not discovered until the child turns 18 and first tries to legitimately open an account. However, in most states, a credit freeze can also be done for a minor, which will stop any illegal activity before it starts. Though a credit freeze is the best way to protect against identity theft, if you create new accounts on a regular basis, either for business or for personal use, you might think twice before initiating one due to the cost of continuous freezing and thawing. You can also find out more about you’re the specifics of doing a credit freeze in your state by going to the Security Freeze Laws page at the National Conference of State Legislators.